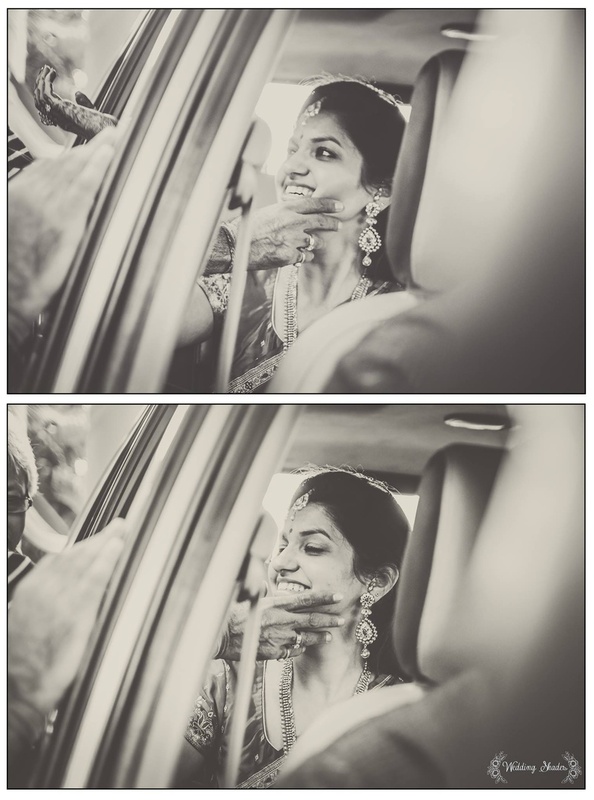 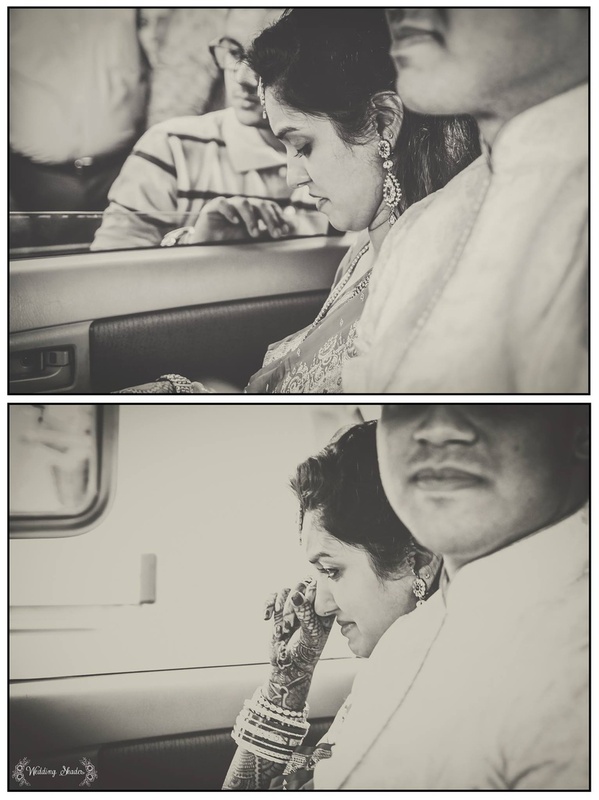 A wedding shot in stunning vintage tones, capturing beautiful bridal portraits and mesmerising candid moments so aptly. 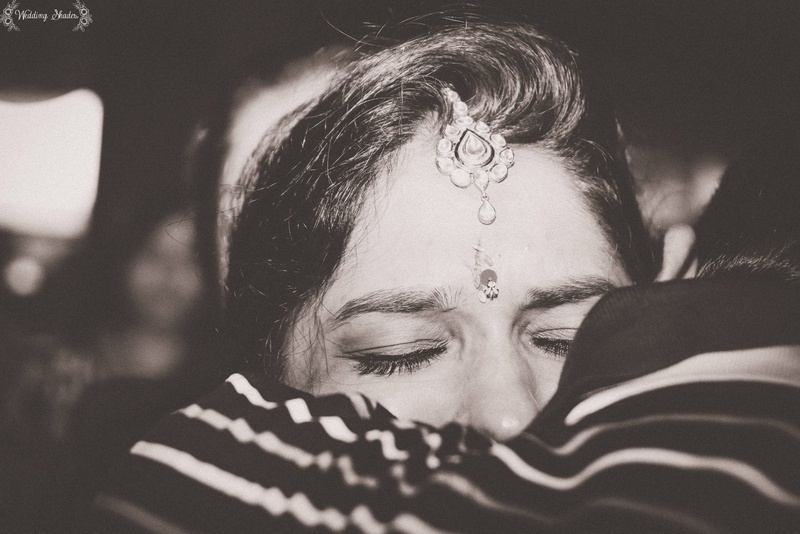 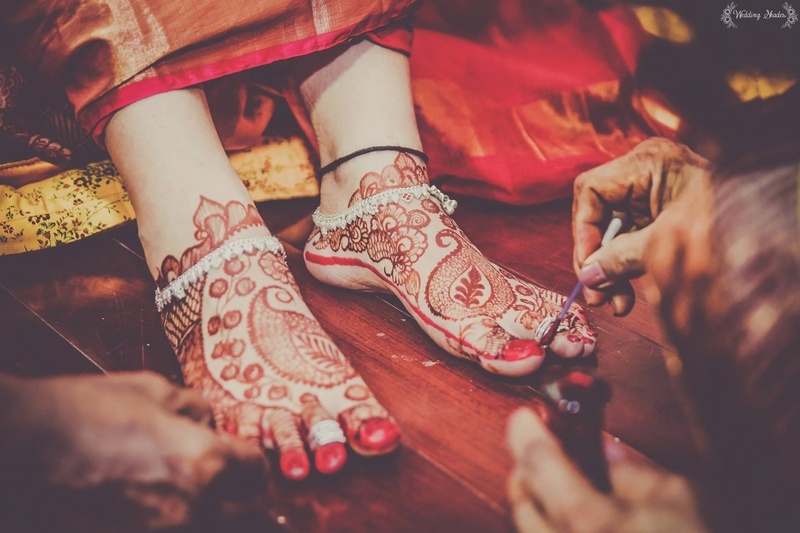 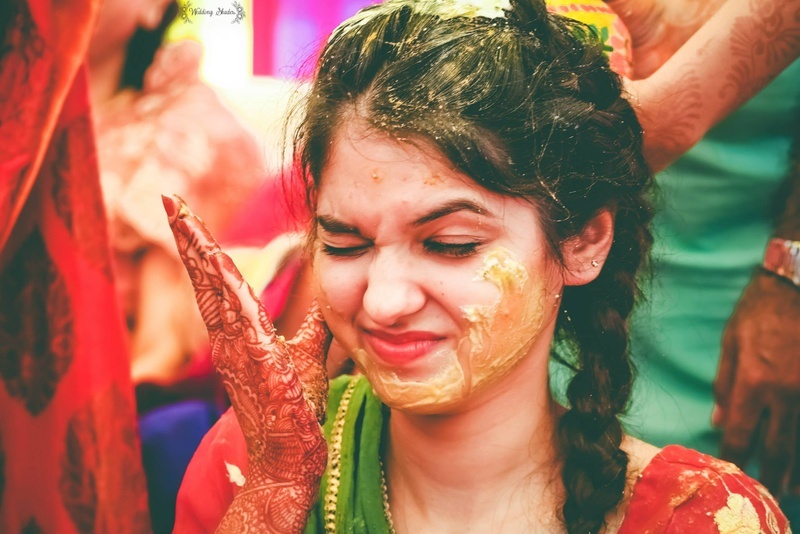 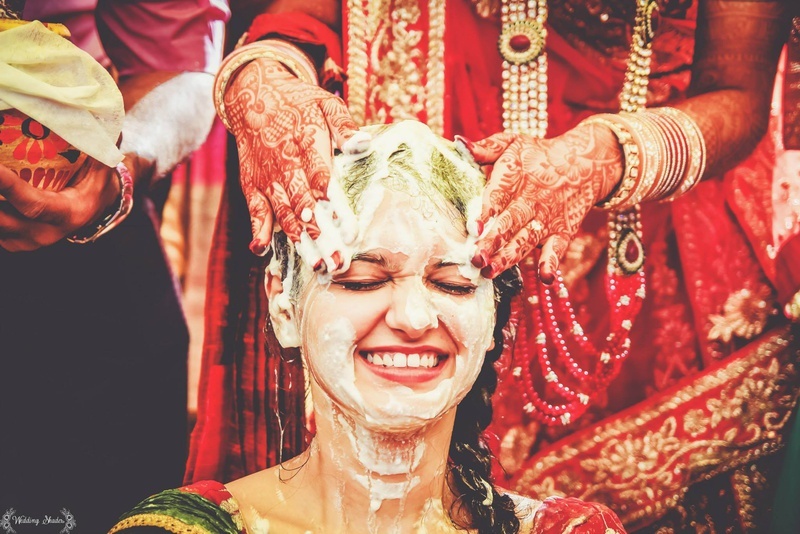 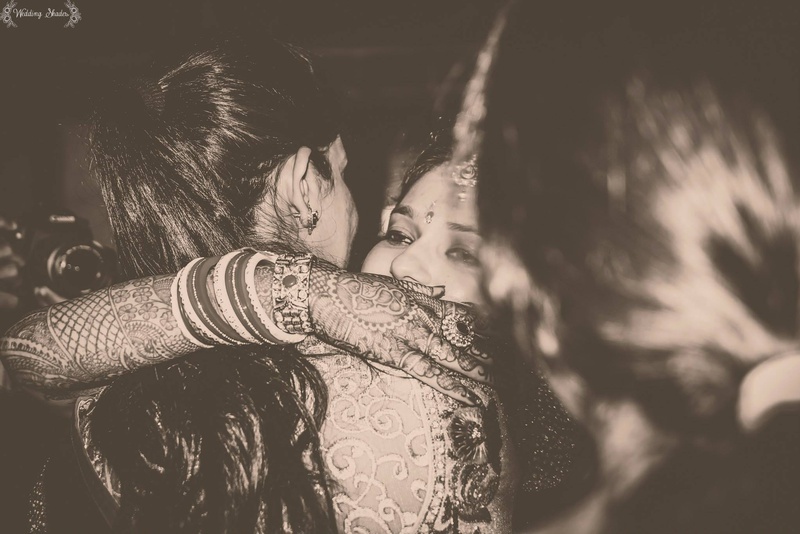 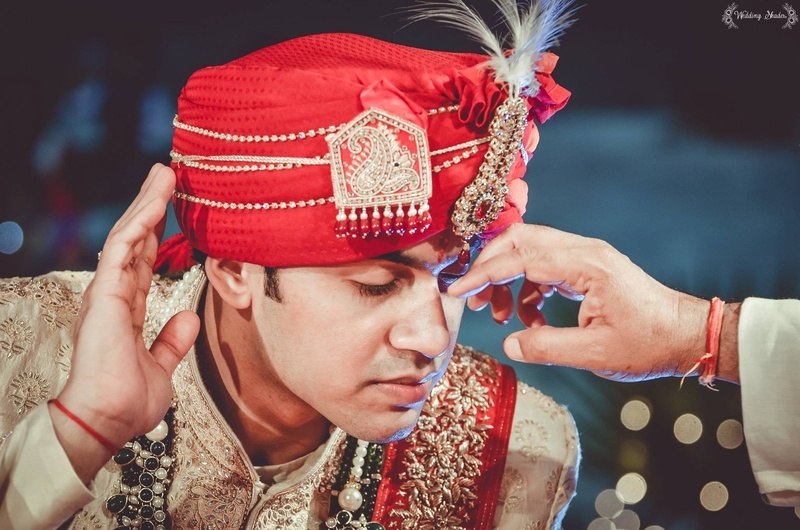 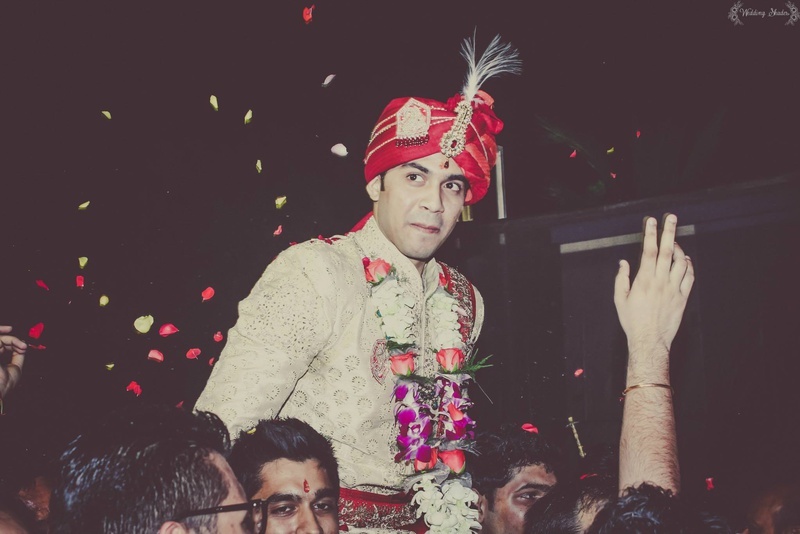 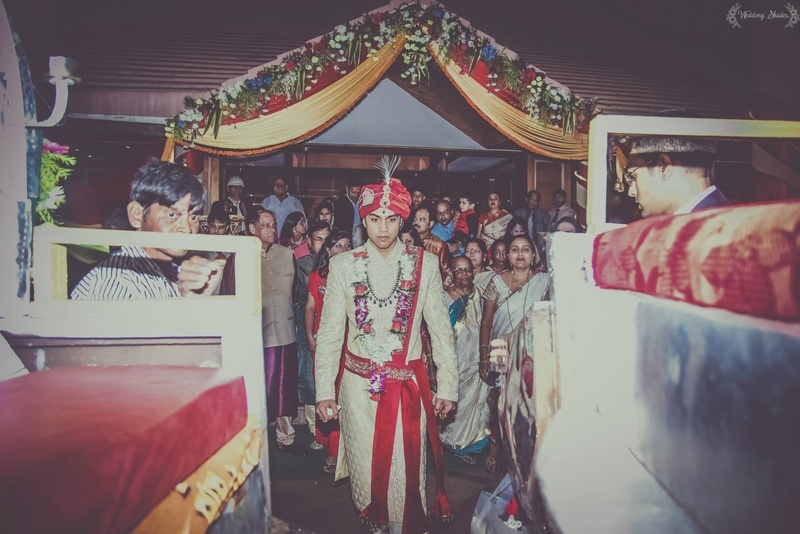 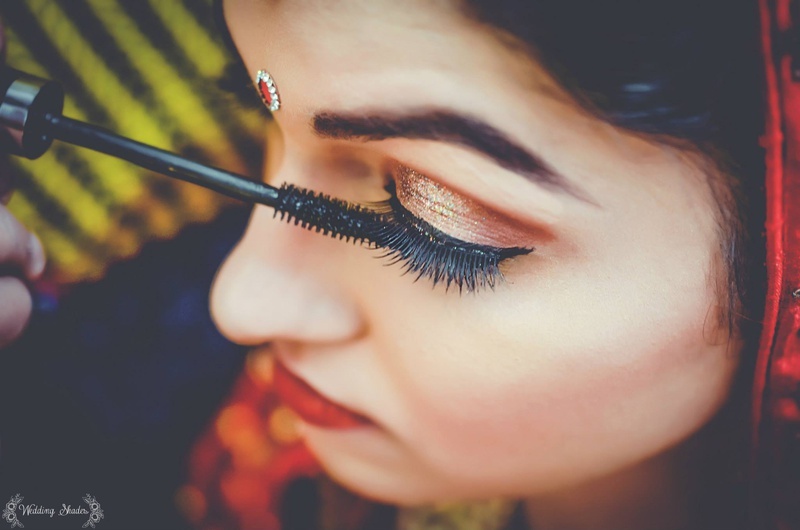 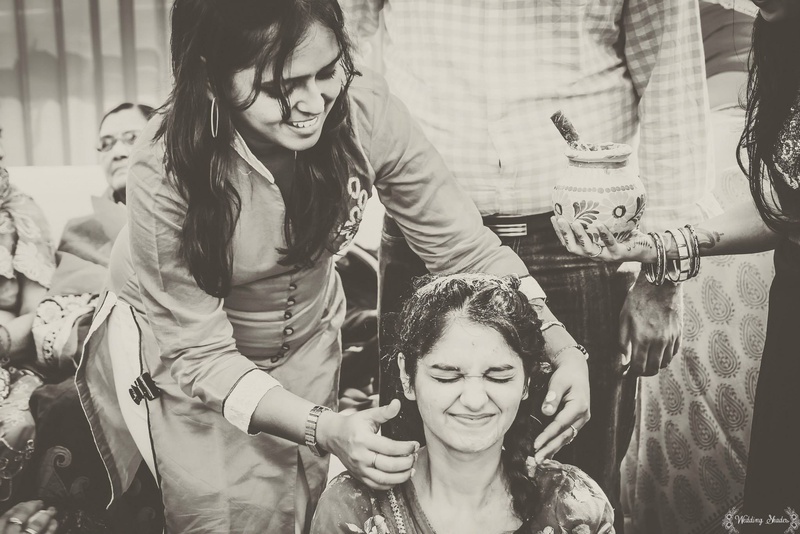 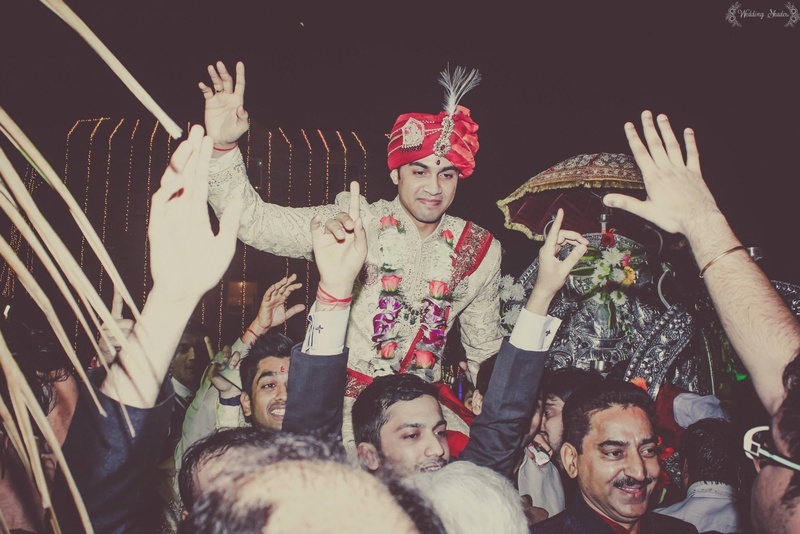 Pallavi and Vicky’s marriage celebrations were all about traditional rituals, meaningful ceremonies and a whole lot of love. 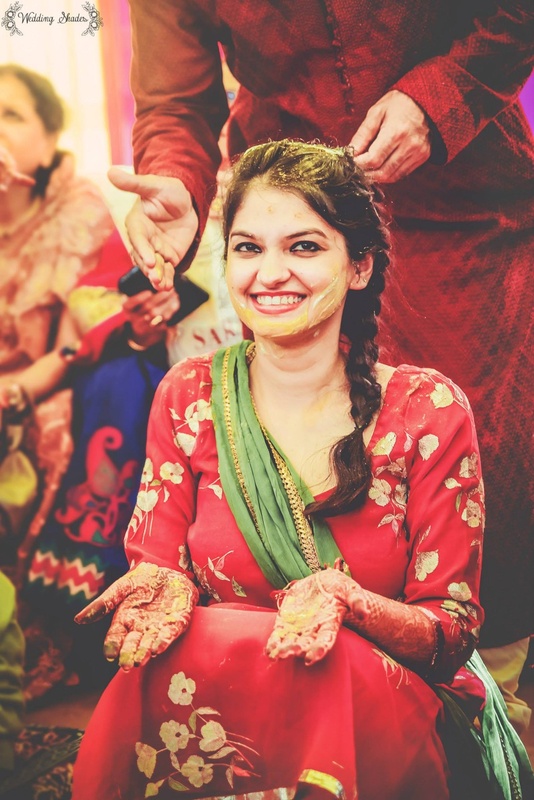 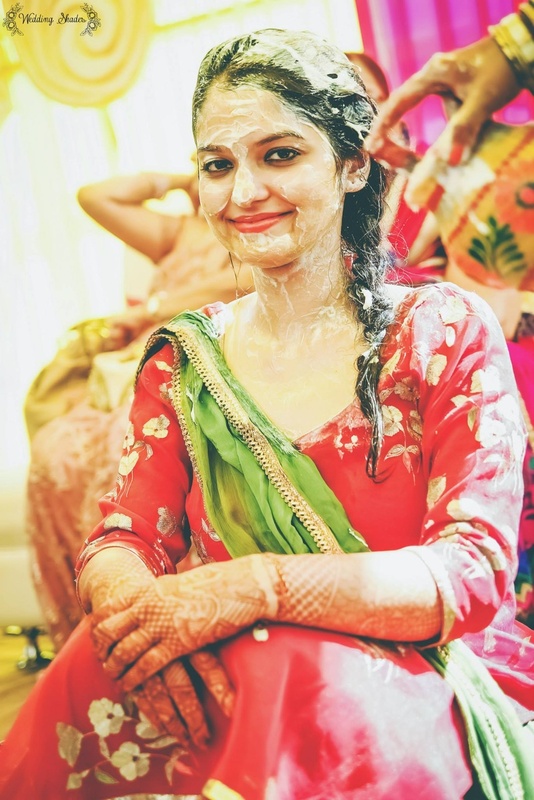 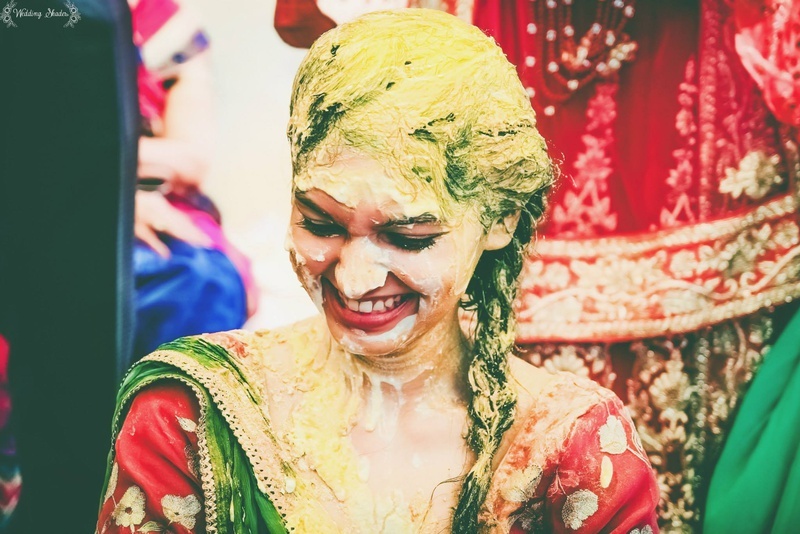 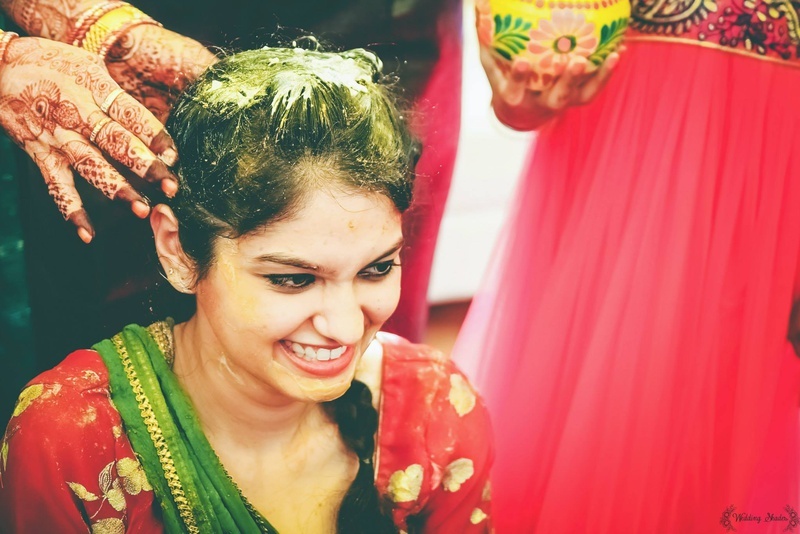 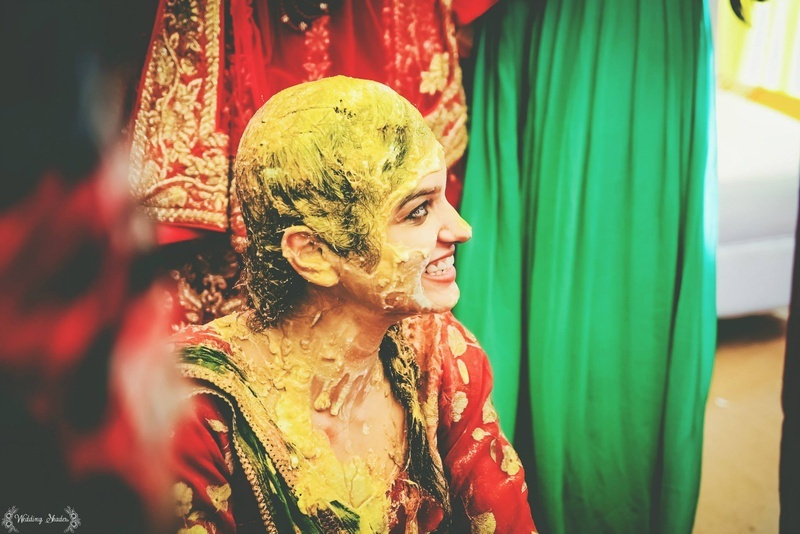 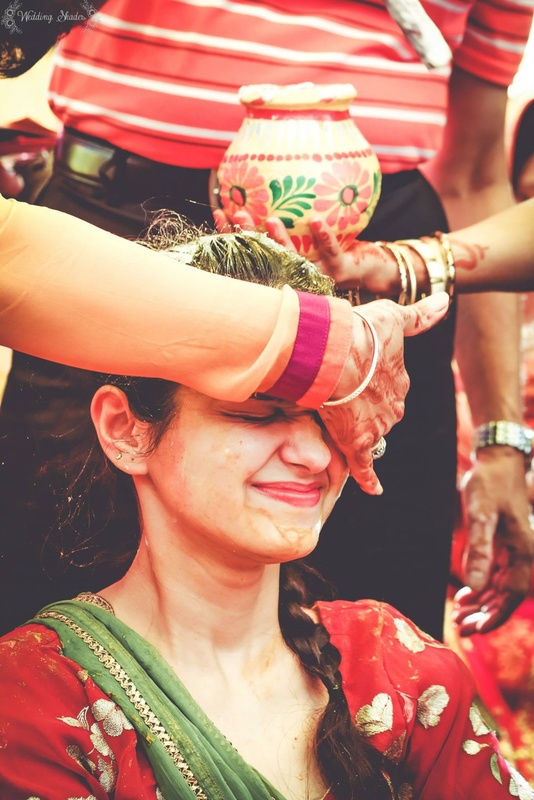 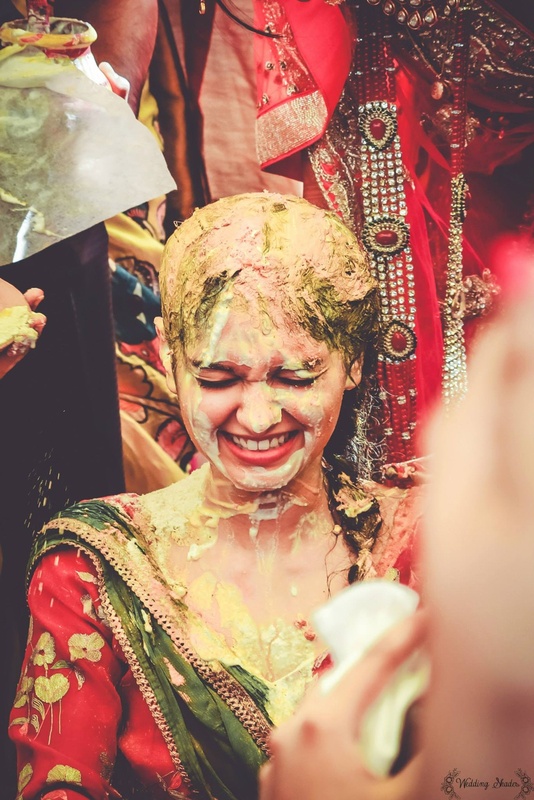 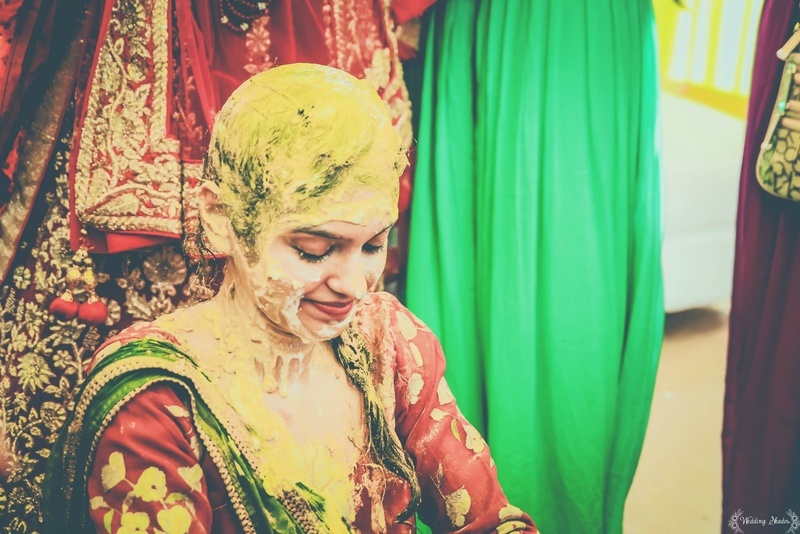 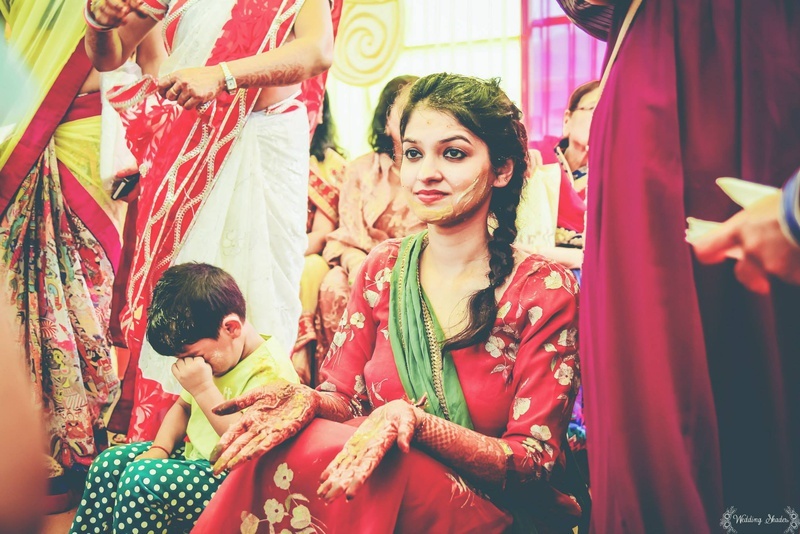 The festivities began at the homely haldi ceremony, for which Pallavi wore a floral printed red and green simple cotton suit. 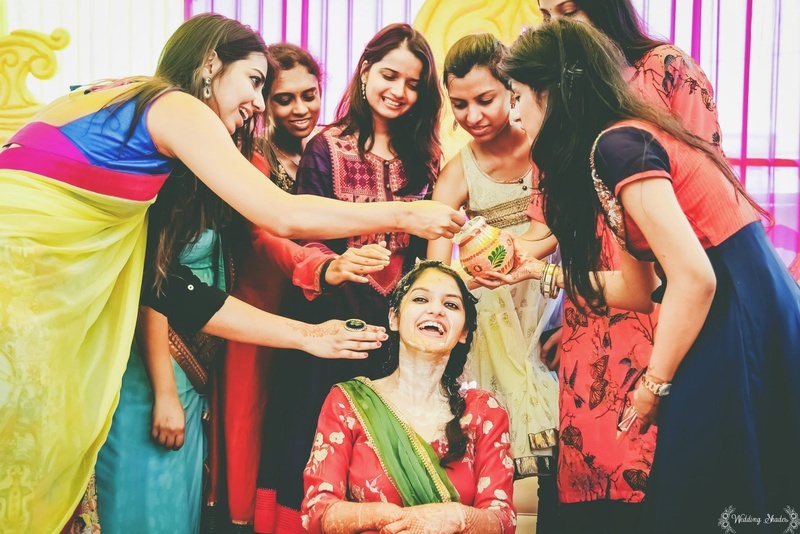 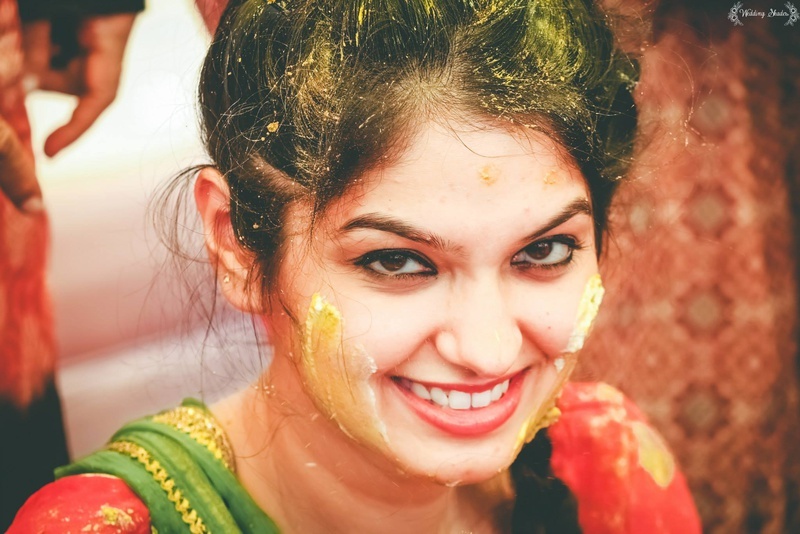 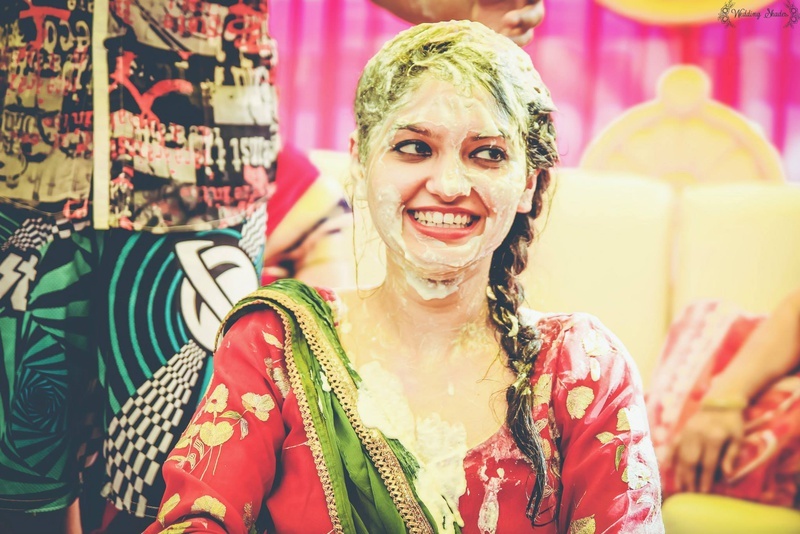 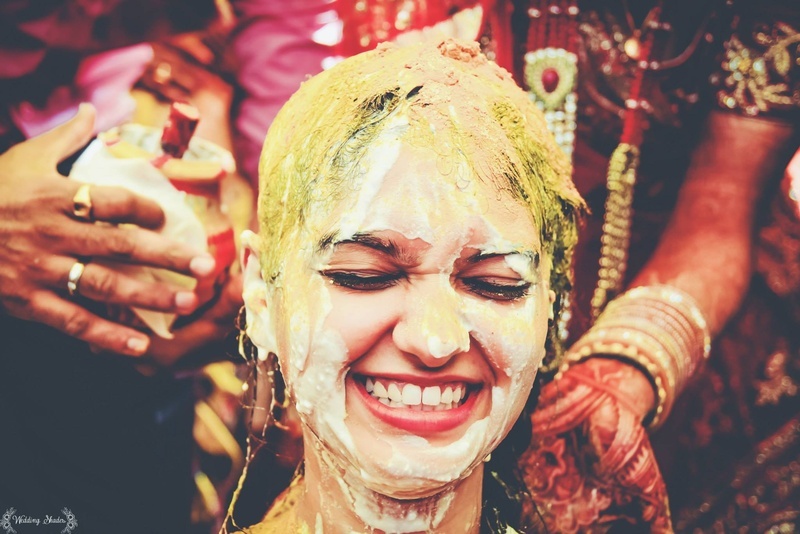 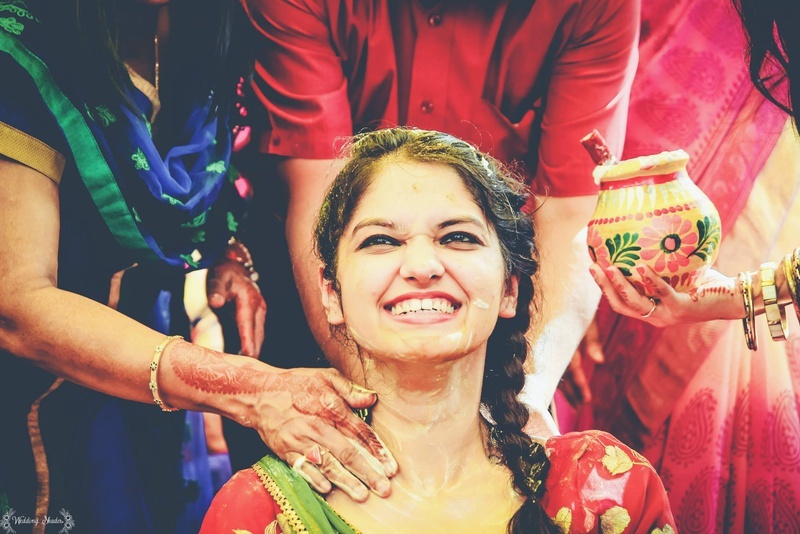 The holy paste painted all over her face only added to the glow her beautiful bright smile brought! 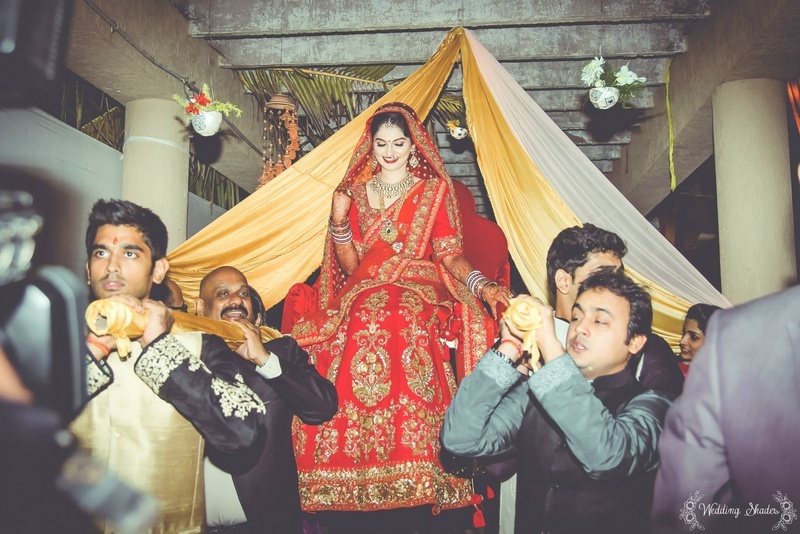 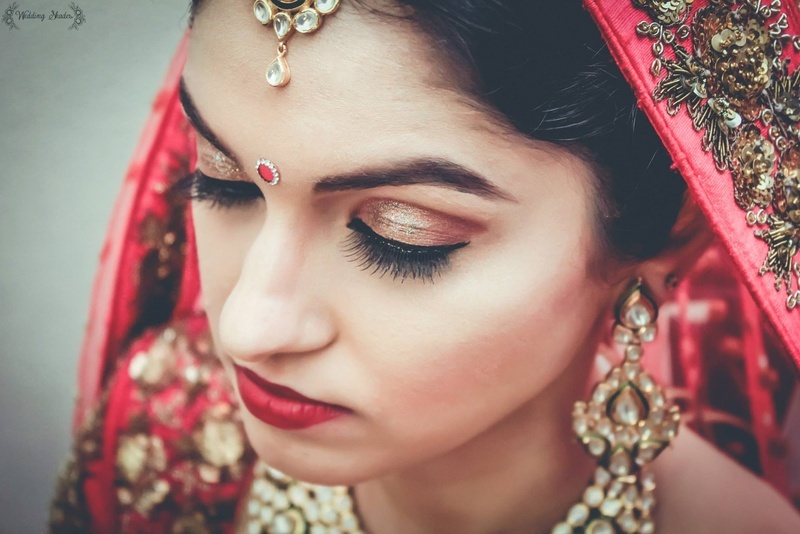 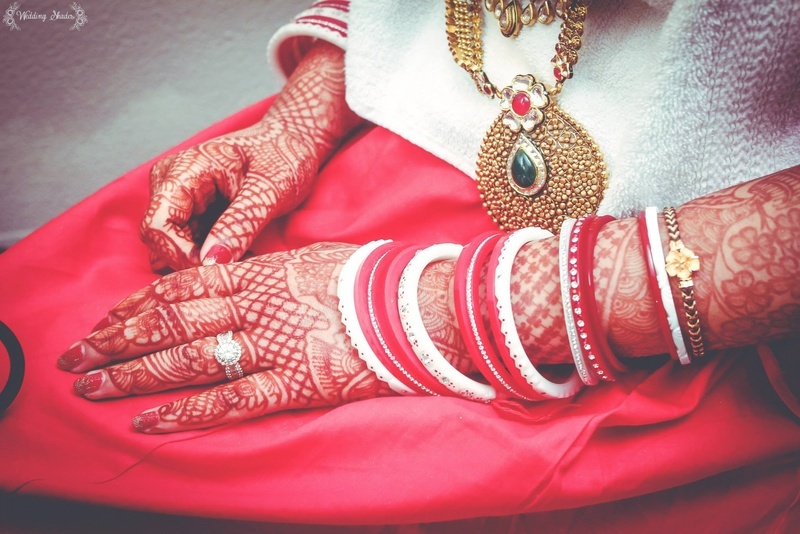 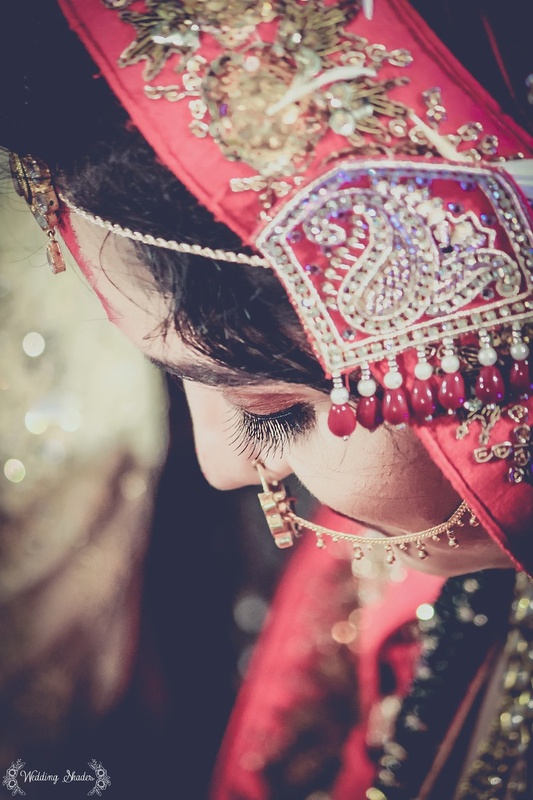 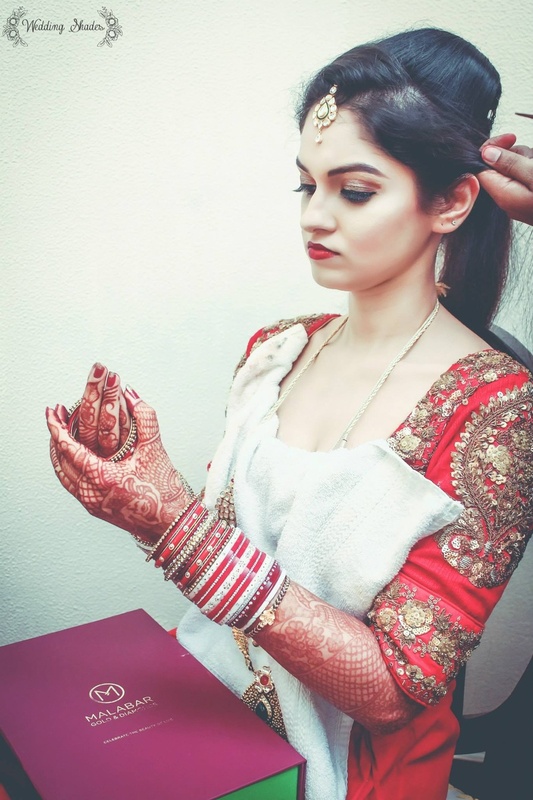 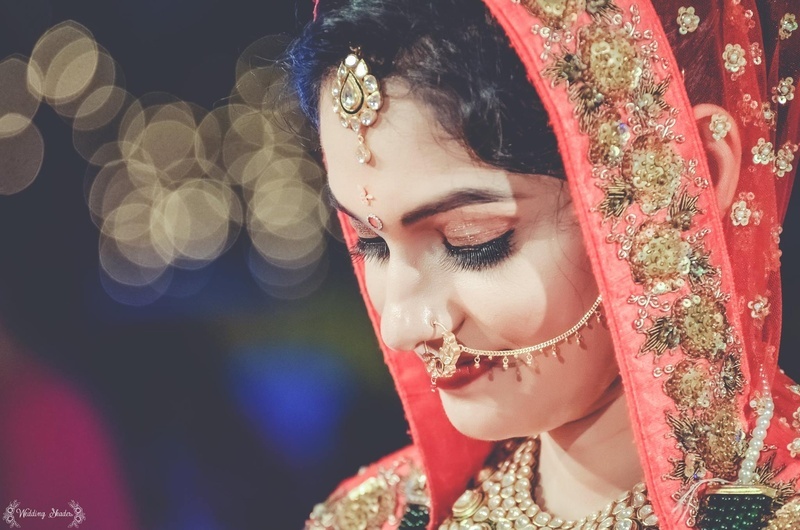 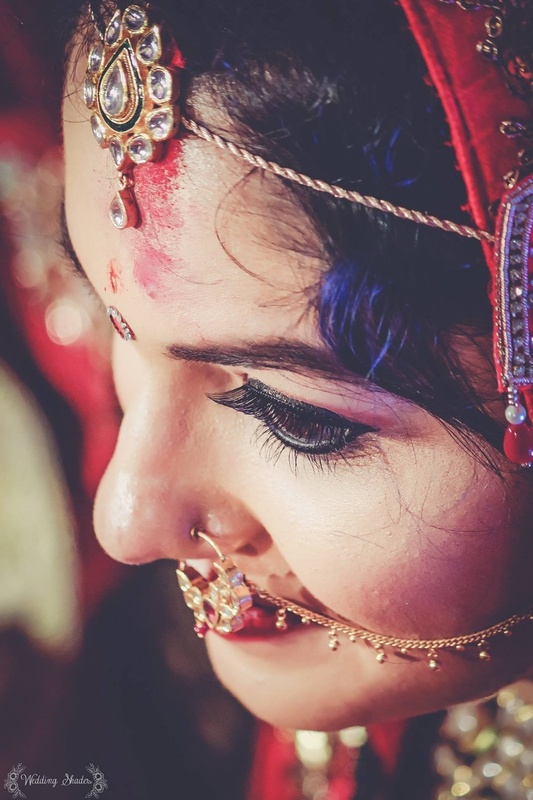 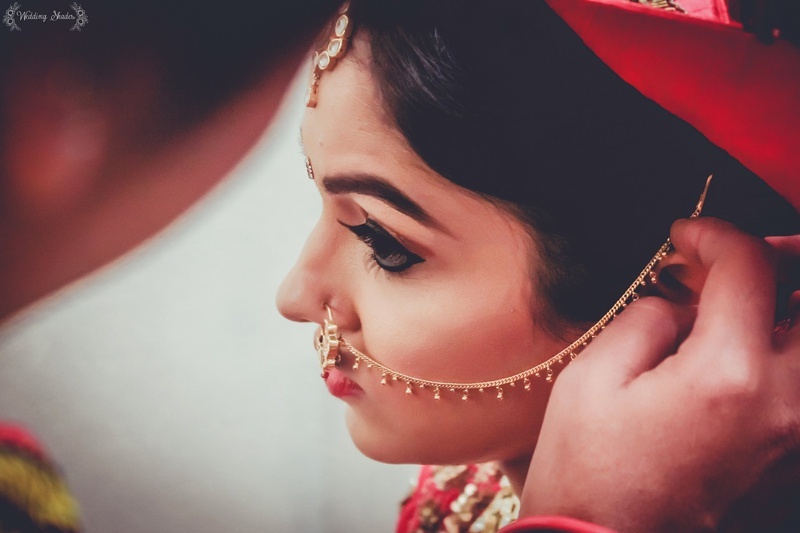 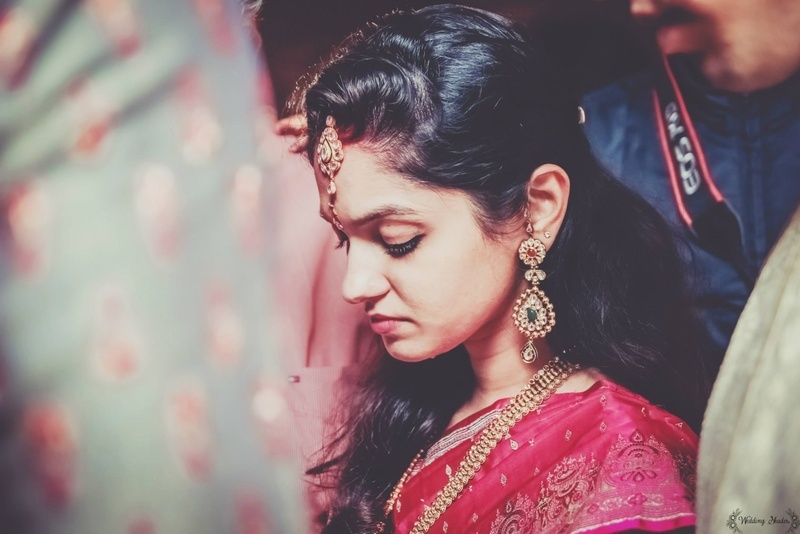 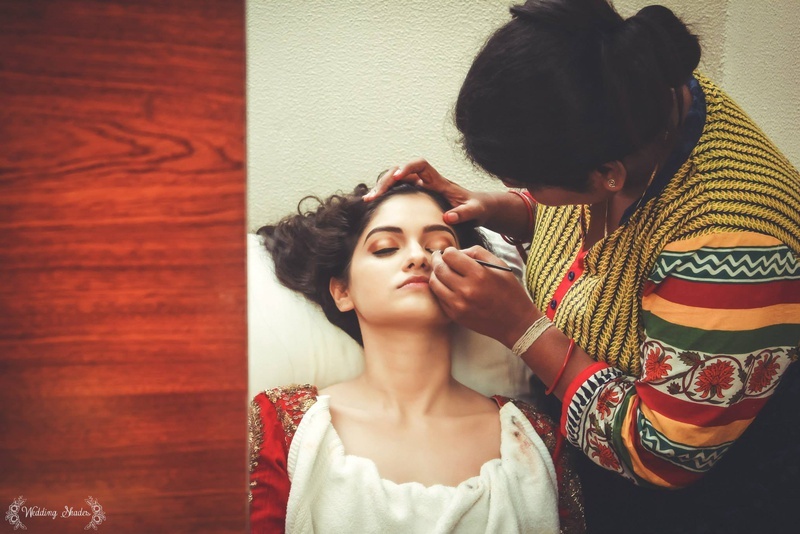 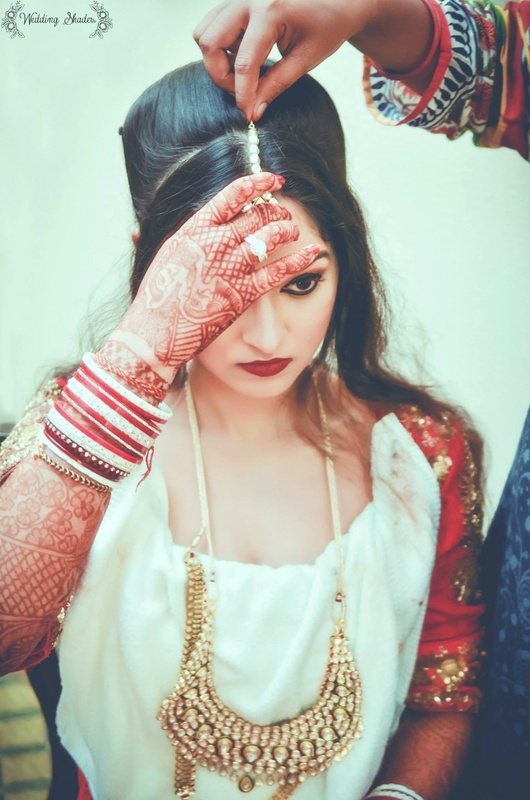 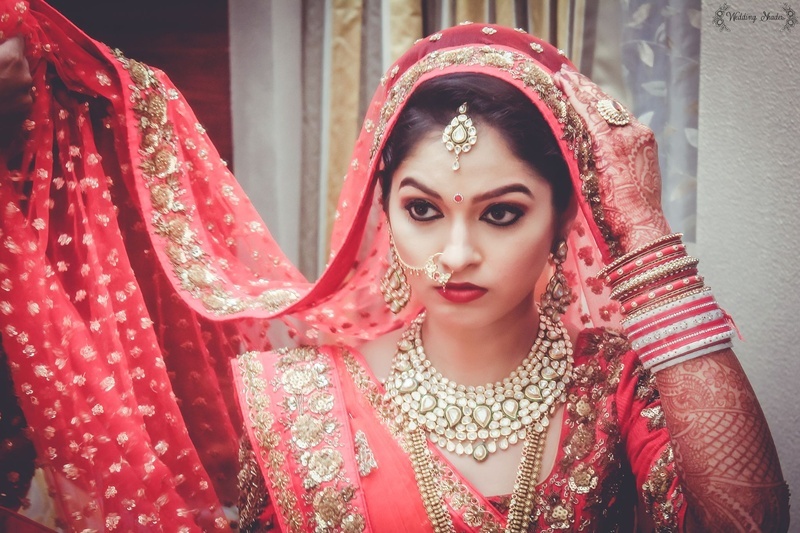 For her bridal ensemble, Pallavi drew a perfect balance between her attire and jewellery in her traditional red kalidar lehenga with intricate gold sequined motifs on them. 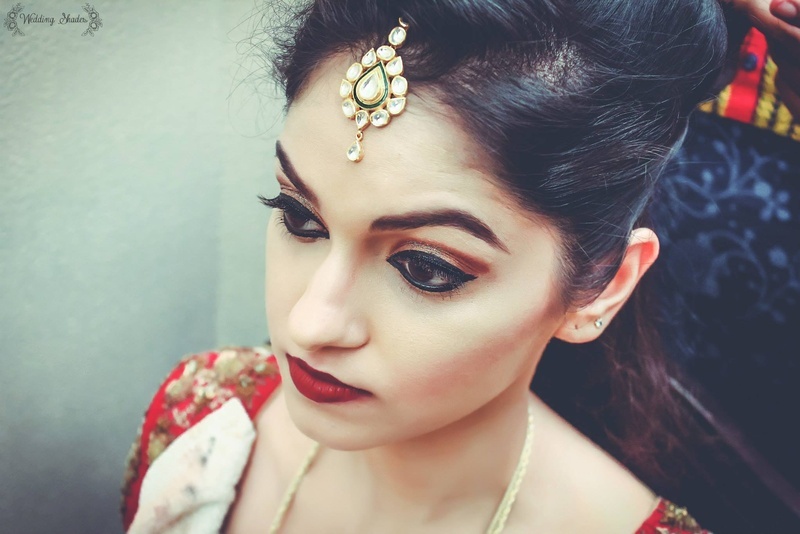 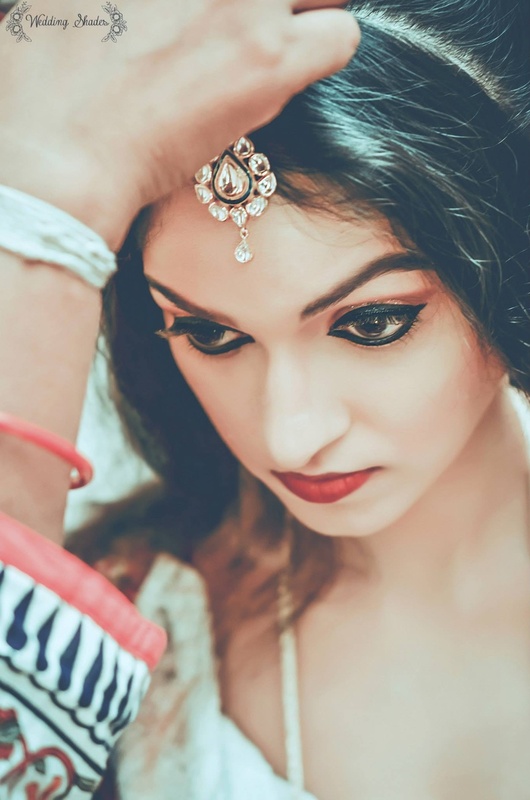 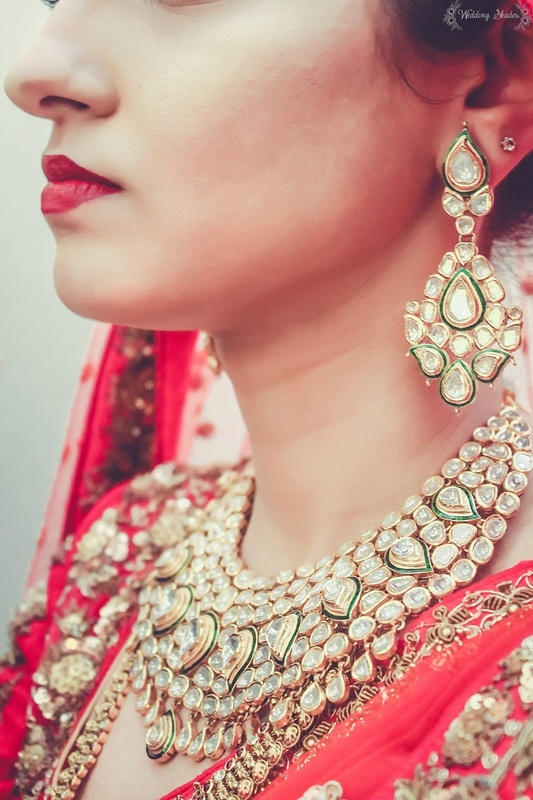 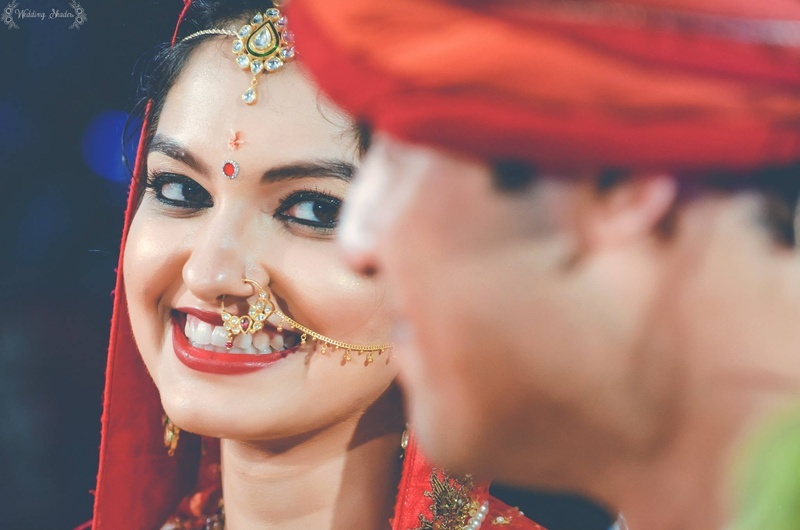 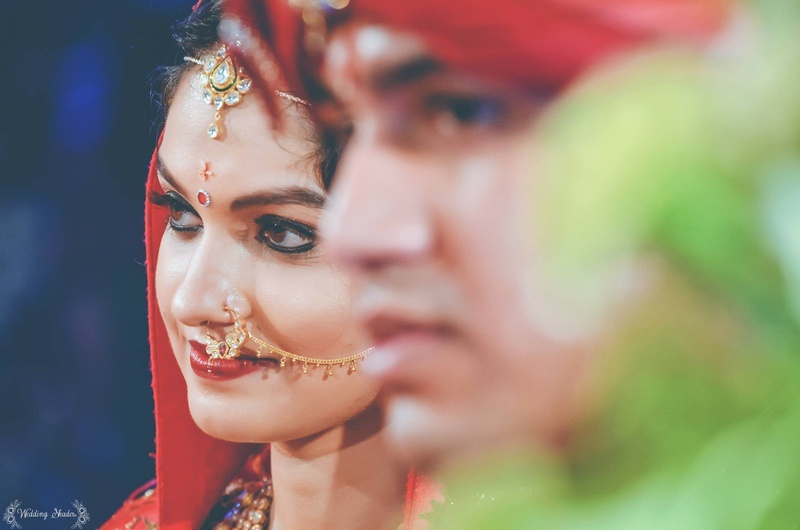 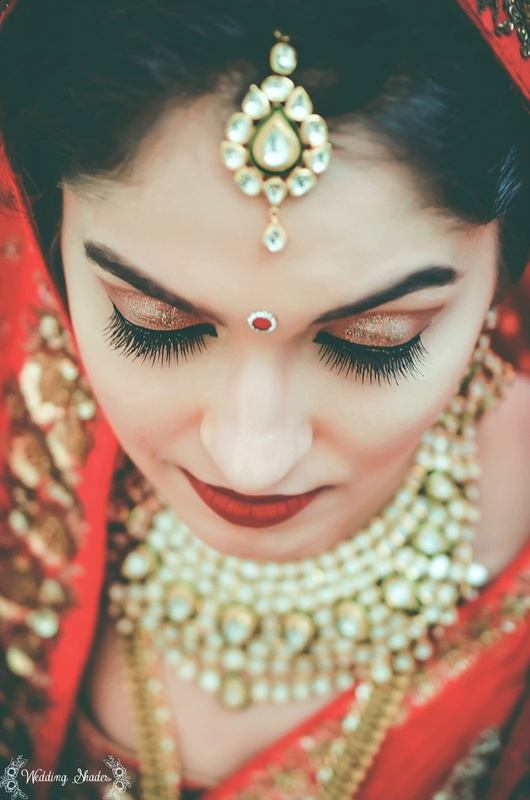 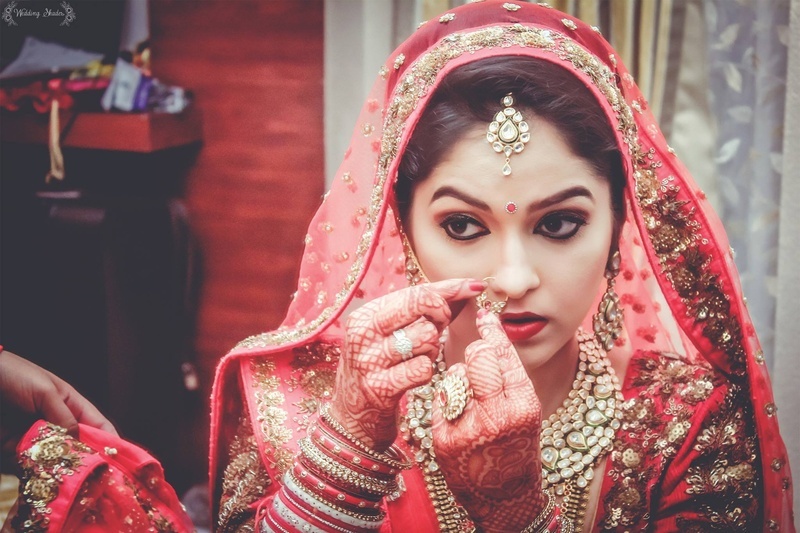 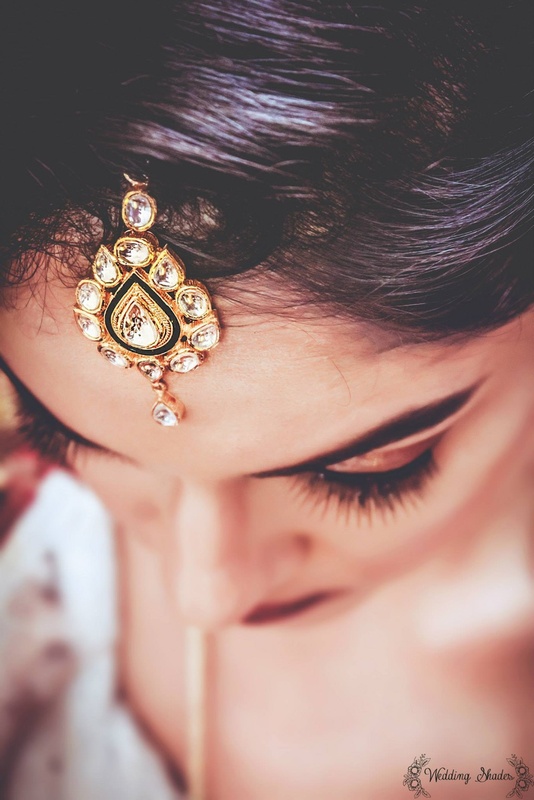 She teamed this lehenga with a multi-strand polki necklace and earrings, a delicate nath along with a matching rani haar – her shimmery gold eye-shadow and well-defined eyes made her look like an Indian princess! 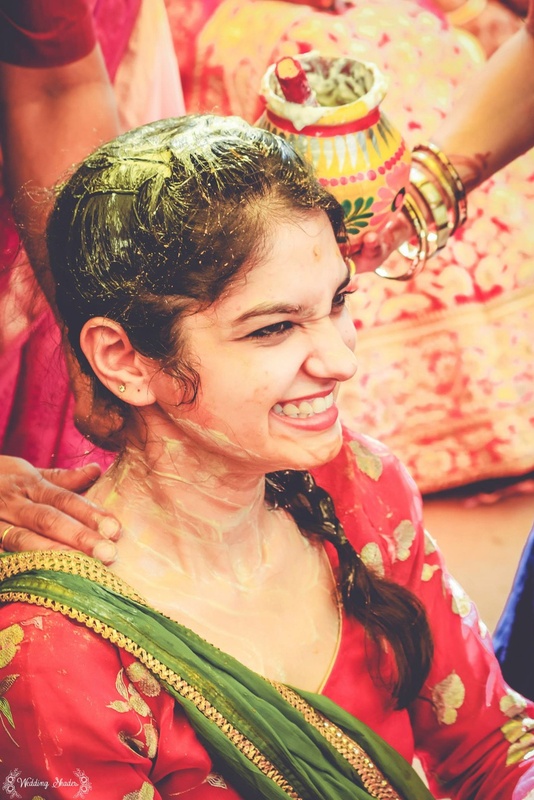 Vicky followed suit with the ethnicity factor. 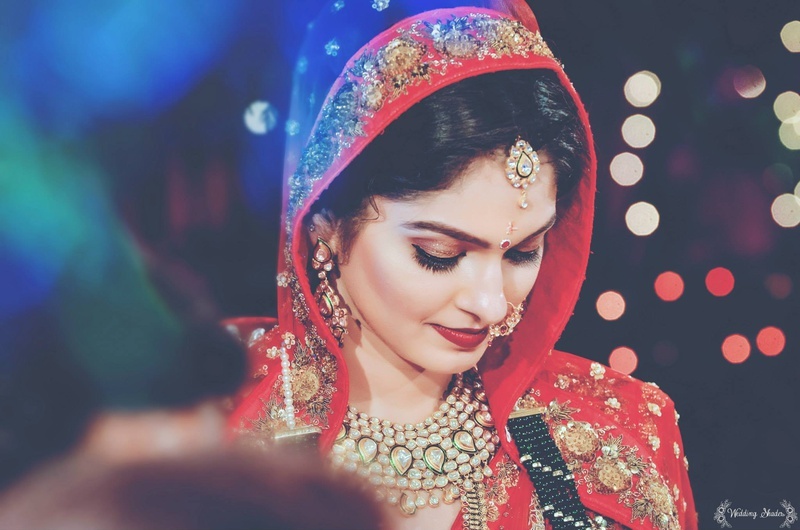 He donned a heavily embellished off-white sherwani, and paired it with a red dushala and safa to excellently complement Pallavi’s attire. 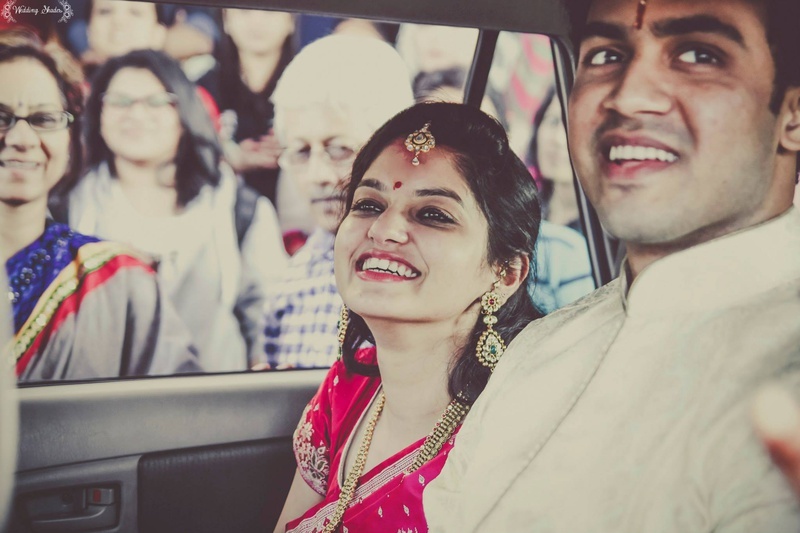 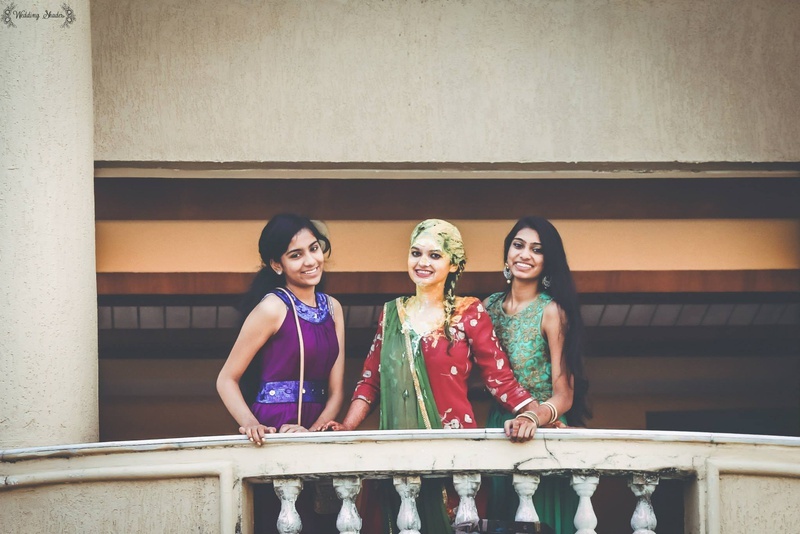 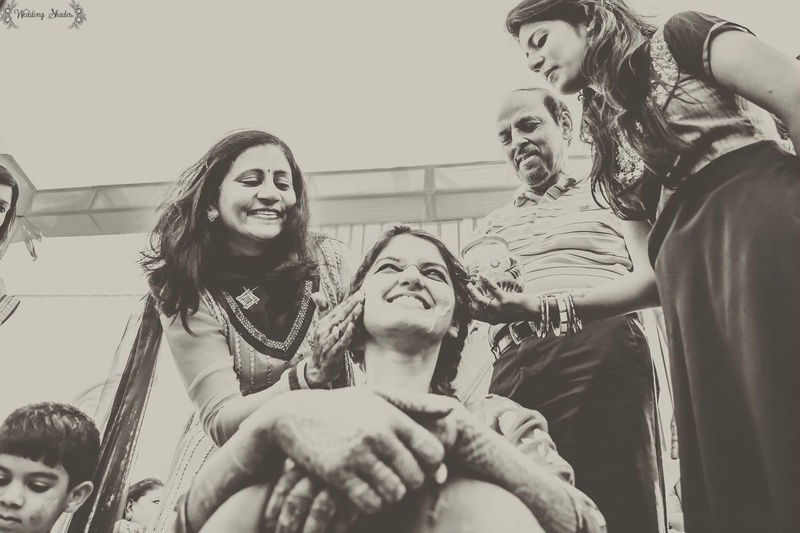 The talented team at Wedding Shades shot this joyous union with great style and precision, capturing every moment for Pallavi and Vicky to treasure for generations to come.